ApowerEdit 1.1.7 was available as a giveaway on June 16, 2017! How would you improve ApowerEdit 1.1.7 ? 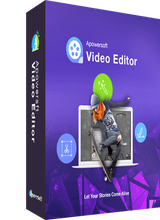 ApowerEdit is a simple yet powerful video editor, even green hands can create a wonderful video within minutes. The current version is V1.1.7 which is more stable than old versions. Once you’ve installed this program on your Windows PC, you can register an account using your email in the ApowerEdit. Then activate it with the activation code below. Remember to activate your account before June 30, 2017. Otherwise, the code will be invalid. 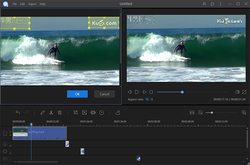 *Streamlined interface: It just consists of three easy and clear parts – Media area, Edit panel and preview window. *4-step editor: In order to make a good video, you don’t need great skill. Instead, satisfied work can be made within steps. Felix, deciding that somehow, in all the universe, that I may be the only person to have the incorrect registration code, I copied and pasted the code from above. Same error message about the code being the wrong code. I took screen shots if anyone is interested. Doc, sorry for that. You can put your email here and I will help you activate your account. You can also submit a ticket to our support. Thank you. Thanks Felix, I followed your step 2, created an account using my own email, once that was done I received an email from Apowersoft that contained my verification code that allowed me to register the software using my own email and the registration code in the GOTD readme file. The process did seem a bit kludgey. One complaint: The program opened in full screen mode which prohibited me from seeing errors generated by webroot because I couldn't get past your message to register since it was hung up waiting for me to clear a message I couldn't see and couldn't get to. So I did stumble around trying to get out of that problem for awhile. I wish app developers would stop the practice of forcing you to opening initially in full screen. Just yesterday I was looking for such an app, so this is very timely. I haven't had a chance to test it yet tho. Sorry for that. Too many people used this activation code at the same time which caused the transient downtime of the server. Please put your email here or submit a ticket to our support. We'll help you activate your account immediately. Hi Doc, Sorry for that. Too many people used this activation code at the same time which caused the transient downtime of the server. Please put your email here or submit a ticket to our support. We'll help you activate your account immediately. Felix, I never got a reply from your Support when I asked about the lack of a fade-in and normal film dissolve transition. But it's very good at the other stuff. why it crashes when i load file to my timeline.Plese reply fast. 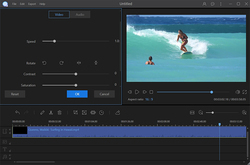 What's good about Apoweredit (APowersoft video editor) are the transitions and it seems light on its feet with little drag on resources. BUT what lets it down for some users (as far as I can see) is that Apoweredit at present has absolutely no fade-in or normal cross-fade film dissolve! If these exist, I can't find them. Now, it's still very good for lots of things and makes editing very easy even for the laziest of people (like me), but these missing functions are not something more serious editors would want to be without. So, as things stand, yes I use the giveaway but would not be keen to buy it until these functions appear or clear documentation shows how to find them. 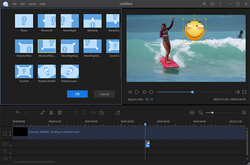 What's good about Apoweredit (APowersoft video editor) are the transitions and it seems light on its feet with little drag on resources. BUT what lets it down for some users (as far as I can see) is that Apoweredit at present has absolutely no fade-in or normal cross-fade film dissolve! If these exist, I can't find them. Now, it's still very good for lots of things and makes editing very easy even for the laziest of people (like me), but these missing functions are not something more serious editors would want to be without. So, as things stand, yes I use the giveaway but would not be keen to buy it until these functions appear or clear documentation shows how to find them. I've been trying for four days to register the software but I keep getting the error message that the remote server is unreachable. Someone here said I should contact tech support and open a trouble ticket, which I did. I got a reply back from Felix saying I need to upgrade my IE browser to 9 (I am using version 11) and that should fix it. I replied saying no it didn't and that's the last I heard from him. I have never had this much difficulty registering a piece of software before. Thank goodness I didn't actually buy it. Apoweredit seems to be abadonedware. It's impossible to register the product since the website of the manufacturer is down and therefore registration for a free usage of the program is impossible. The software publisher doesn't exist. I've been trying to register for the last hour and I'm unable to do so. The time has now expired so this unfortunately is BS. Downloaded, installed, created account with given code, made mistake activating (forgot reg code in readme file), pressed 'activate later' I'm stuck now and cannot access that activation window any longer, looks like my account expired!? Please help and tell how and where I can do it on Your pages till end of June? Hi ApowerEdit Support, Downloaded, installed, created account with given code, made mistake activating (forgot reg code in readme file), pressed 'activate later' I'm stuck now and cannot access that activation window any longer, looks like my account expired!? Please help and tell how and where I can do it on Your pages till end of June? OK, sorted it out myself, activation didn't work first time round but when Registration Key (NOT for Product, but 1year License it seems) was inserted again (why simple copy/paste doesn't work in here beats me! !, no, one has to do it manually, pain! :( - Got message that it'll fine till June next year.. Please make the whole Procedure easier Guys!!? fran, OK, sorted it out myself, activation didn't work first time round but when Registration Key (NOT for Product, but 1year License it seems) was inserted again (why simple copy/paste doesn't work in here beats me! !, no, one has to do it manually, pain! :( - Got message that it'll fine till June next year.. Please make the whole Procedure easier Guys!!? Hi, you can submit a ticket to our support - support@apowersoft.com. We'll help you activate your VIP account. Thank you. 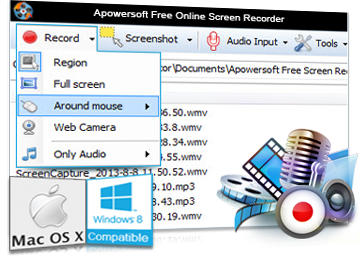 fran, Hi, you can submit a ticket to our support - support@apowersoft.com. We'll help you activate your VIP account. Thank you. Hi, just saw this reply, thanks, as I said above - it's sorted (even if it's not obvious or easy to figure out as one would hope or expect, that's all), Regards. Felix, Hi, just saw this reply, thanks, as I said above - it's sorted (even if it's not obvious or easy to figure out as one would hope or expect, that's all), Regards. Registration process worked for me. Beside the six number code given to me via email, I had to remember to enter the 20 character registration code found at the bottom of the readme.text. Completing those steps will entitle one to the "VIP" status which yields a one year license. I am very anxious to test your software but not able to register? I have windows 10 64 bits. please help me, thanks. Hello I am very anxious to test your software but not able to register? I have windows 10 64 bits. please help me, thanks. Pedro, Hi, you can submit a ticket to our support - support@apowersoft.com. We'll help you activate your VIP account. Thank you. I can't see the point of using time-limited licenses. One is either forced to stop using it completely or cough-up, in this case, $80 when the software times out. There is a Trial version, but that is not necessarily mean freeware so timing out completely is a real possibility. The website is nearly devoid of information. Maybe that is on me, but I did look. I can't see the point of using time-limited licenses. One is either forced to stop using it completely or cough-up, in this case, $80 when the software times out. There is a Trial version, but that is not necessarily mean freeware so timing out completely is a real possibility. The website is nearly devoid of information. Maybe that is on me, but I did look. Crashes on every AVI file I try to play or add to the timeline. Works with MP4. Haven't tried others yet. Not sure if it's the program or my PC, but AVI's work in other video editors. Hi, you can submit a ticket to our support - support@apowersoft.com. We'll help you fix the problem. Thank you. BRYAN COOVER, Hi, you can submit a ticket to our support - support@apowersoft.com. We'll help you fix the problem. Thank you. Got it downloaded and installed, now how do I register it? Tried what it said and I do not have an "account" so how do I open an account? You are great. Thank you. Alexa Bennett, You are great. Thank you. After 7 attempts I finally received the code. 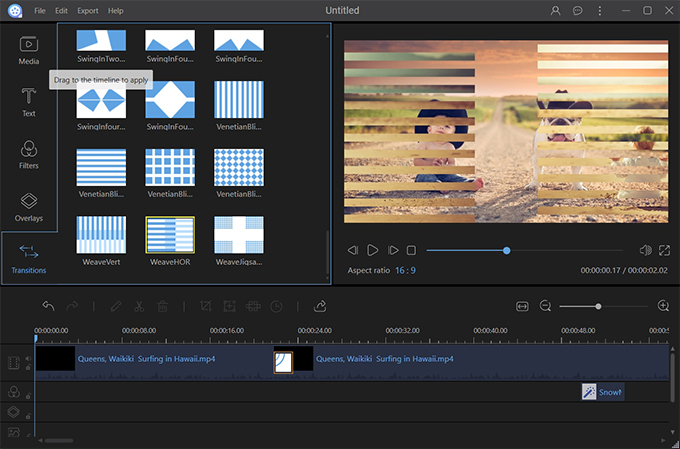 Even with an eye-straining GUI the use was fairly intuitive but my guess is that people that are new to the video editing world will have to struggle without the use of a good user guide. I attempted to create an 8 minute montage of scenes from various files on my system (64bit Win10, 12GB ram, i7) and it took forever to render (29 minutes). Sorry, but uninstalling. May I suggest spending as much time on the customer experience as you do the software and you'll probably have a great product that people will recommend. Good luck to you. After 7 attempts I finally received the code. 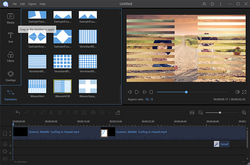 Even with an eye-straining GUI the use was fairly intuitive but my guess is that people that are new to the video editing world will have to struggle without the use of a good user guide. I attempted to create an 8 minute montage of scenes from various files on my system (64bit Win10, 12GB ram, i7) and it took forever to render (29 minutes). Hard to register 1 year time limit Nothing outstanding to make it a contender Hard to read GUI Sluggish rendering Sorry, but uninstalling. May I suggest spending as much time on the customer experience as you do the software and you'll probably have a great product that people will recommend. Good luck to you. Thanks for your feedback. We'll try our best to better our program. Thank you. BoatRocker, Thanks for your feedback. We'll try our best to better our program. Thank you. this one not free still has limitation to remove output water mark you must buy.. so its just a trial . Hi, you can activate it with the information below. try again to register 5 hours later first attempt. Registration server still unreachable. 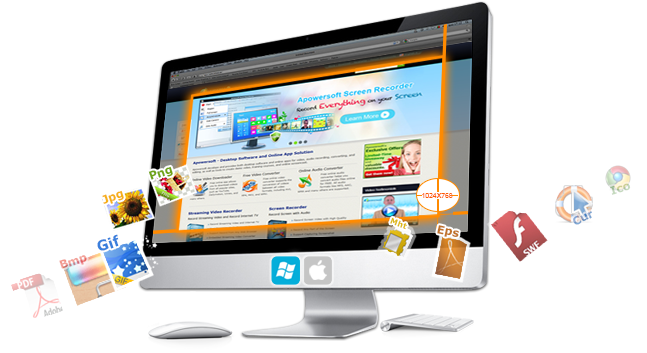 Have a look on evaluation software. Very basic. Some freewares can do better. Have not chromakey filter to work with green screen ( most video editor have- even freewares). Too many negative experiences for me to try. I do not want blue screen or messing around with registration that does not work. Sorry. 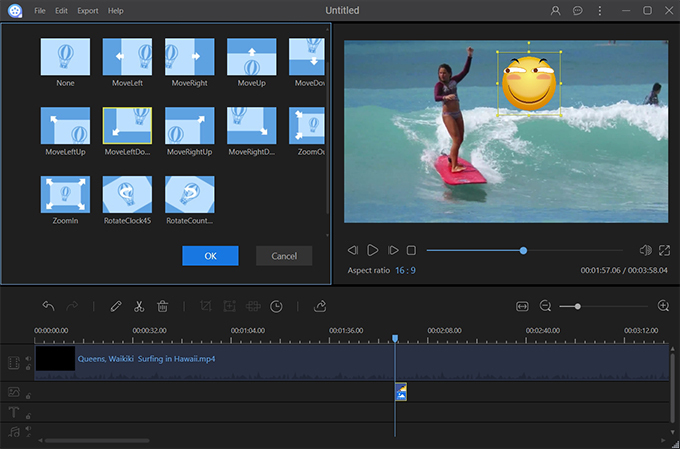 Compared to recently given away VSDC Pro Video Editor 5.7.7 @ $19.99 this is an expensive shadow of a video editor... can you do chroma key effects? 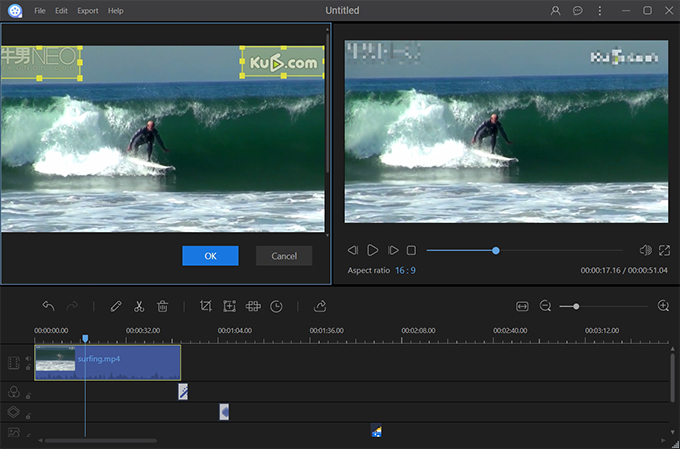 video fly in or fly-out effects picture in picture zoom in to the insert video, process in UHD or 4K resolutions as well as export upto 4K resolution? On windows vista it works? This application failed to start because api-ms-win-core-namedpipe-l1-1-0.dll was not found. Reinstalling the application can fix this problem. There is a 20 digit activation code that one could copy and paste into the program. But no, you have to enter each digit and every time you enter one digit into the program the text message disappears and the text message has to be reopened. For a one year license? Fuhgeddaboutit! Uninstalled! This appears to be the a recent version of the same simple video editor previously offered under many different brand names. I have a version from "Aimersoft". 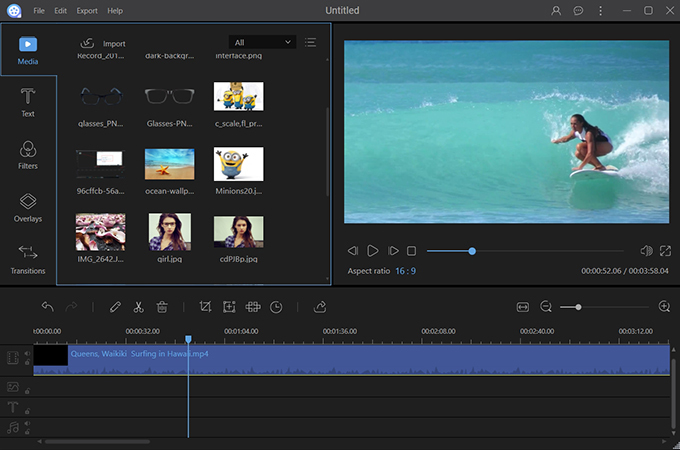 It's not a bad video editor at all. It uses a very standard layout (media window, player window, and timeline), it has most of the basic video editing functions, and it handles most quick video editing jobs efficiently with relatively few crashes. 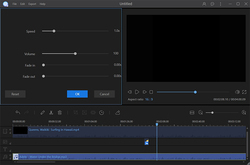 I would recommend it for anyone not needing really advanced video editing. What's different here is that Apowersoft has linked it to online license verification and is offering only a 1-year license. In the past I've found Apowersoft's online license verification to be unreliable, ceasing to work after a few months instead of lasting the stated time. Don't need that hassle, so I'll pass on the update in this case. 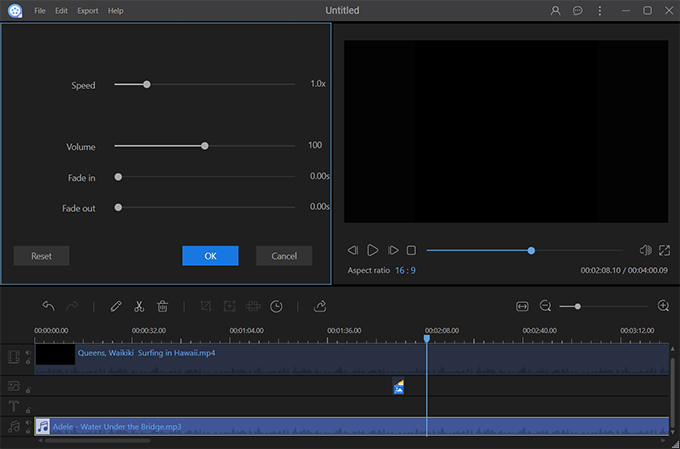 This appears to be the a recent version of the same simple video editor previously offered under many different brand names. I have a version from "Aimersoft". 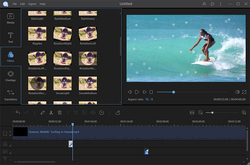 It's not a bad video editor at all. 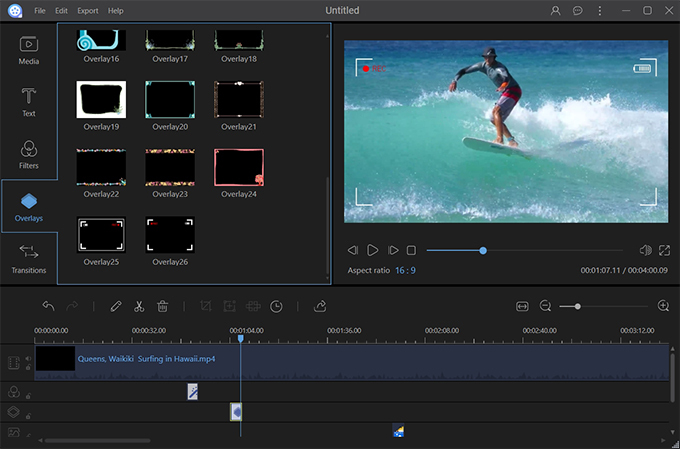 It uses a very standard layout (media window, player window, and timeline), it has most of the basic video editing functions, and it handles most quick video editing jobs efficiently with relatively few crashes. 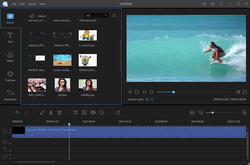 I would recommend it for anyone not needing really advanced video editing. What's different here is that Apowersoft has linked it to online license verification and is offering only a 1-year license. In the past I've found Apowersoft's online license verification to be unreliable, ceasing to work after a few months instead of lasting the stated time. Don't need that hassle, so I'll pass on the update in this case. A 1 year license only?! Come on! 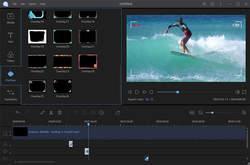 There are FREE (semi)professional video editors like "DaVinci Resolve" which have no time-limited license. M. H., Thanks for the heads up ! I received four 6 digits verification codes. All were wrong. Fifth code was wrong again, but sixth and seventh code ("Send again") did work. Sorry for that. Please submit a ticket to out support. We'll help you activate your account manually. Thank you. Wayne Interessierts, Sorry for that. Please submit a ticket to out support. We'll help you activate your account manually. Thank you. not working as expected. Uninstalled. After I had install and start the program I get bluescreen so I restart the computer and start the program again and I get bluescreen again, any others as get same and how to solve the problem? Waste of time says invalid code.Next stop is uninstall.Make sure these simple things work before you give away something. Select all images with bridges. Hi, you'd better upgrade your PC to Windows 7, 8, 10 to use our program. Thank you. kosedowski, Hi, you'd better upgrade your PC to Windows 7, 8, 10 to use our program. Thank you. Thanks, this is a great program! I Registered and activated without worry. I have only one comment for the development: I miss the fact that the video does not cut the cut size again. (As in image editors, when I cut an image I always see the width / height of the image in the picture) I do not think about the size of the image here, except for the sight, but you should know the exact actual frame size before exporting. So when I export, I do not know how to customize it. (Because the image may be distorted if I convert it to a different size scale than I did when I did.) Or at least at export, there would be an option to save the video to its current size. This is a real problem in cases where, for example, A larger empty useless area would be cut off from a video to reduce the size. So I do not want to reduce the person or animal that is appearing on it, but only the large empty part is cut off, so I do not keep the original aspect ratio at the cut, but the new one shows nothing that the program does either the ratio or the width or height size. Or just did not find me? I'm sorry if it's difficult to understand in English, only Google translation, because I originally wrote it in Hungarian. Thanks, this is a great program! I Registered and activated without worry. I have only one comment for the development: I miss the fact that the video does not cut the cut size again. (As in image editors, when I cut an image I always see the width / height of the image in the picture) I do not think about the size of the image here, except for the sight, but you should know the exact actual frame size before exporting. So when I export, I do not know how to customize it. (Because the image may be distorted if I convert it to a different size scale than I did when I did.) Or at least at export, there would be an option to save the video to its current size. This is a real problem in cases where, for example, A larger empty useless area would be cut off from a video to reduce the size. So I do not want to reduce the person or animal that is appearing on it, but only the large empty part is cut off, so I do not keep the original aspect ratio at the cut, but the new one shows nothing that the program does either the ratio or the width or height size. Or just did not find me? I'm sorry if it's difficult to understand in English, only Google translation, because I originally wrote it in Hungarian. There is a settings button that seems to have no effect. I selected 2003-2007 word format but still got a docx. Second issue, when I leave the program the last used settings are lost. 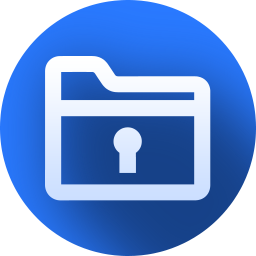 The program should retain the path that was last used and not always default to the desktop. The actual conversion seems to work OK for me. up4tango, Why are you saving a video as a word document? He thinks he is on the PDF offering page. Bless. up4tango, are you commenting on the other GotD program being offered today (All PDF Converter)?? Registration server was unreachable so tried it in evaluation mode. When I tried to split a small MP4 file the program froze and crashed. Uninstalling immediately. Nothing happen on screen . The site seems to be blocked. Maybe, it is the reason why I cannot register. I have no problem of network with another web site. Windows 10 64 bits. Impossible to register. I have the following message: Unable to connect to remote server Error code: -2146697191 (INET_E_INVALID_CERTIFICATE) Try: •Checking the connection •Checking the proxy and the firewall •Running Network Diagnostics Else, if I want to connect to apowersoft: https://www.apowersoft.com/video-editor/ Nothing happen on screen . The site seems to be blocked. Maybe, it is the reason why I cannot register. I have no problem of network with another web site. You can submit a ticket to our support. We'll activate the VIP account for you. detenova, You can submit a ticket to our support. We'll activate the VIP account for you. 1 year license... No thanks. There's free open source video editors like www.shotcut.org for example. It can probably do the same things as this application and it is free forever. 1 year license... No thanks. There's free open source video editors like www.shotcut.org for example. 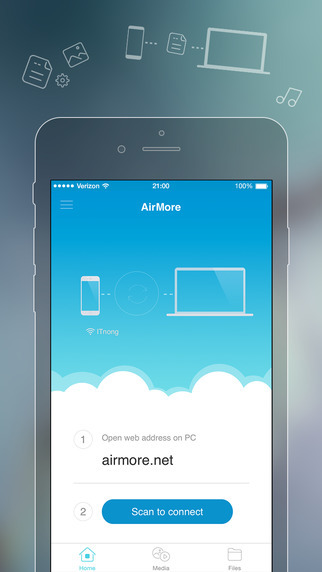 It can probably do the same things as this application and it is free forever. Erik, Probably? why the pre-assumption? Is this a good alternative to windows movie maker? Dupin, no it's not even close. First attempt registering I am told I already have an account. I do not. 2nd attempt and third attempt, I am told it is the wrong activation code. I copied and pasted the registration code. Not a happy camper here. Doc, Sorry for that. Too many people used this activation code at the same time which caused the transient downtime of the server. Please put your email here or submit a ticket to our support. We'll help you activate your account immediately. With a one year license...does it stop working after a year? Jeff Wilson, ......Or does it simply stop updating, with current version remaining fully functional? If it ceases to be functional before I'm ready to buy, some other video editor may catch my eye for purchase. Download, installation and registration was very quick and straightforward. I had several short videos inported from my video camera which I tested this software on and joined the clips to create one movie, added a few transitions, text and music and exported to my hard drive. The deiting process is very easy and quick, the exporting to hard drive was also quite quick, but I suppose the time taken depends on the size of the video but the end result was really good. Thanks to GOTD and Apowersoft for this giveaway. Have a great weekend. Thanks for sharing this Fantastic Software! I love it! Thanks for sharing this <strong>Fantastic</strong> Software! I love it!